Since Monday last, villagers dwelling in the fringe area of Deopani Reserve forest covered by Silonijan forest range in Eastern Karbi Anglong have been terrified by an annoying full grown tiger. Villagers say the Royal Bengal tiger creeps around human habitation for food and picks up domestic animals from village households, without fear of humans, just after dusk. 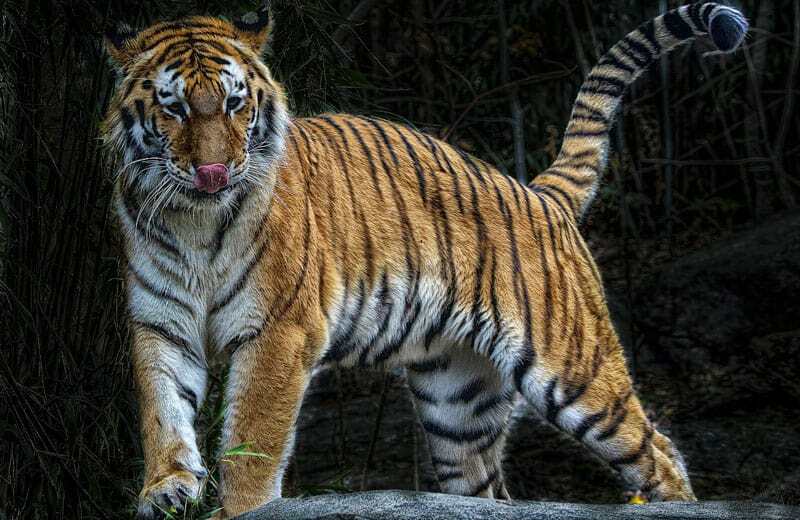 People in the locality urged forest department officials to chase the tiger into the forest where the tiger will be able to find its natural prey. In October last year, two persons were gravely injured and another barely managed to run away when a full grown Royal Bengal Tiger attacked a group of sesame cultivators in the same locality of eastern Karbi Anglong within Bokajan subdivision. “According to our records, that area is the natural habitat of Royal Bengal Tiger and probable cause of attack may be intrusion by humans at the same time as the tiger was laying on the cover of undergrowth nearby looking for prey, and the untimed meddling of humans made the tiger furious,” BN Narzari, senior forest official and OSD to CCF Karbi Anglong commented while explaining the probable reason behind the incident. Upper Deopani area is intertwined with Kagiranga National Park where there is a high concentration of tigers. The wild tigers can trek this distance so sighting tigers in that area is quite natural and encouraging. “It may be mentioned here that in spite of continuing ruthless destruction of forest sighting of Royal Bengal Tiger has been reported from Langlakso, Samalangso, Silvata, Khon Bamon, Singhason and Chapong resave forest area recently,” Jotin Sharma, DFO of Hamren division said, while giving his observation on the presence of tigers in the area. Sushanta Roy is a journalist in Assam, India, who photographs and writes about the people, animals and flora of Assam, and the things that affect them.